4800mAh Ni-MH High Capacity! Much More Running Time! For iRobot Roomba 500 600 700 800 510 529 530 560 595 585 581 615 616 620 630 650 665 680. For iRobot Roomba 500. For iRobot Roomba 510. For iRobot Roomba 530. For iRobot Roomba 532. For iRobot Roomba 535. 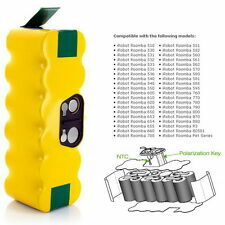 4800mAh Ni-MH High Capacity ! Much More Running Time! For iRobot Roomba 500 ,For iRobot Roomba 510. -For iRobot Roomba 530 ,For iRobot Roomba 532. -For iRobot Roomba 535 ,For iRobot Roomba 540. -For iRobot Roomba 550 ,For iRobot Roomba 551. -For iRobot Roomba 560 ,For iRobot Roomba 561. BEST PERFORMANCE BATTERY for NEATO XV! Replacement for all current Neato Vacuums. Neato xv-11 xv-12 xv-15 xv-21 xv-25 Signature XV Pro VR100. 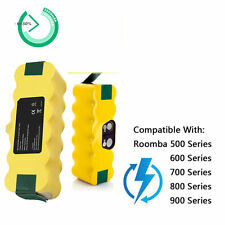 Compatible with: For iRobot Roomba 5 6 7 series. For iRobot Roomba 5 6 7 series interchangeable 500 530 560 600 620 650 655 760 770. Better design with a better brush and screw. 1 x Side Brush. 1 x Upgraded Motor. For small, dry debris and minimal wet pickup. For iRobot Roomba 500,For iRobot Roomba 510. - For iRobot Roomba 530, For iRobot Roomba 532. - For iRobot Roomba 535, For iRobot Roomba 540. - iRobot Roomba 550, For iRobot Roomba 551. - For iRobot Roomba 560, For iRobot Roomba 561. 2Pcs Dock Station Accessory Organizer Holders for Dyson V7 V8 V10 Vacuum Cleaner. Compatible with Irobot Roomba Vacuum Cleaners 800 900 Series 980 970 960 961 964 and so on. Compatible with: For iRobot Roomba 8 9 series. Set to virtual wall mode to keep your Robot in the rooms you want cleaned and out of the ones you don't. Fits Craftsman Part Numbers17816, 9-17784, 9-17761, 9-17066, 9-17741, 9-17742, 9-17765, and 9-17762 ( Will fit Craftsman older model vacuums with slight modification). 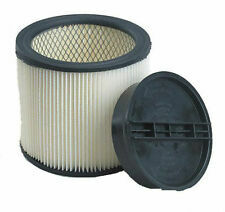 Compatible filter that replaces Genuine Craftsman - 9-17816. 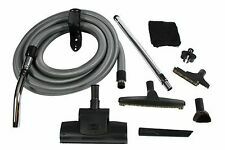 Dust Blade/ Catch Mop Set/ Remote/ Magnetic Line/ etc..
For iRobot Roomba R3 500 600 700 800 900. for iRobot Roomba R3. for iRobot Roomba 500,510,530,531,535,536,540. for iRobot Roomba 550,551,560,570,580,581,590. for iRobot Roomba 600,610,620,630,650,651,655,660. Multipurpose Practical Windows Keyboards GrooveCleaning Brush! Multifunctional cleaning brush, could clean the dust from the grooves, nooks and other small places. This cleaning brush would be your good helper. For iRobot Roomba 500 For iRobot Roomba 510. - For iRobot Roomba 530 For iRobot Roomba 532. - For iRobot Roomba 535 For iRobot Roomba 540. -For iRobot Roomba 550 For iRobot Roomba 551. -For iRobot Roomba 560 For iRobot Roomba 561. Motorised floor tool with carbon fibre brushes that rotate to remove ground in dirt from carpets while the ultra fine conductive carbon fibre picks up from hard floors. Dyson V6, Dyson V6 Animal, V6 Animal Extra. Neato XV Series Circuit Board -. Binky Version (works with 1.67a and 2.0a neatos). This is compatible with the XV Series of Neatos. 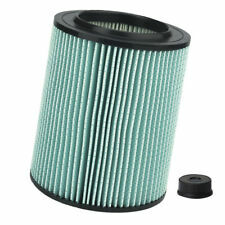 Exhaust HEPA Filters fits Sears Kenmore EF-1. It also fits Panasonic Vacuums that us a EF1 HEPA Exhaust Filter. 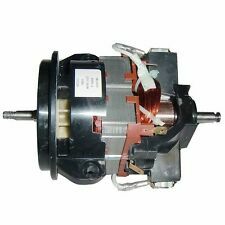 Kenmore Canister models; 116.22412, 116.22822, 116.22823, 116.25512, 116.25513, 116.25614, 116.25615, 116.25812, 116.25813, 116.25914, 116.25915, 116.27514, 116.27515, 116.27614, 116.27615, 116.27814, 116.27815, 116.27914, 116.27915. Compatible with: For iRobot Roomba 500 600 700 800 series interchangeable 527 529 530 531 532 533 535 540 550 551 552 560 561 562 563 564 570 571 577 580 610 611 627 630 650 760 770 780 790 860 870 880 960 980. 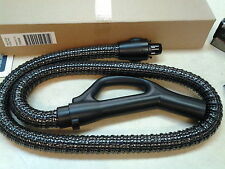 1 Set x Vacuum Cleaner Nozzle(6 Pcs). 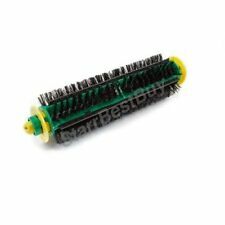 Model Number:Vacuum Cleaner Brush Parts. Trending at C $8.65eBay determines this price through a machine-learned model of the product's sale prices within the last 90 days. Fits the following model:NV300. Repairing will normally takes 1-2 months. 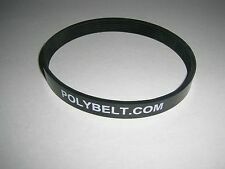 High quality material, practical and durable. within 24 hours. This Filter Is Compatible With: Dyson Pure Cool Office Link Purifier DP Model & Dyson HP Model pure Hot Cool Link Purify. 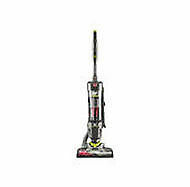 Compatible With Dyson number: 967449-04. New Stainless Steel Loose Tea Infuser Leaf Strainer Filter Diffuser Herbal Spice. Compatible for irobot vacuum cleaner. 2 x Beater Brushes. Canada, United Kingdom, Austrilia, France, Germany, Spain, Ireland, Italy, Others. USA, Canada, United Kingdom, Austrilia, France, Germany, Spain, Ireland, Italy, Others.